Now that Daylite Cloud makes Contacts, Calendar and Tasks sharing easier giving you worldwide syncing, you may be asking yourself, what exactly can you do when you share Daylite? 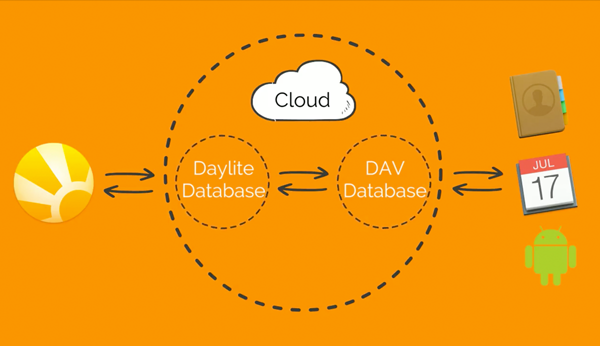 If you’ve used Dalite DAV Sharing with Daylite Self-Serve, you know the process can be difficult. You need to manually create accounts for every app you use and remember all the server settings, usernames, and password. Now, sharing has been made easy because we’ve gone ahead and removed the server with Daylite Cloud. You can now easily share with the click of a button, and get worldwide access anywhere you go. Now, you can easily do things like, make scheduling easy for your clients, cut down on the work you need to create a new contact and even create new tasks wherever you are, even if you don’t have a free hand. Let your customers book meetings with you directly by publishing your Daylite Calendar to a webpage. This makes the experience for customers to book meetings with you a breeze. They wouldn’t have to deal with the frustration from the back and forth emails, missed calls, and voicemails that make them think you don’t want to talk to them. Fortunately, with Daylite Cloud’s easy to share Calendar you can add your Daylite Calendar to internet services like YouCanBook.Me and do precisely that. You can set up blocks of time on your calendar for your customers to pick from and, as time slots fill up Daylite appointments are made with all your client’s details. Even better, when you book time yourself, youcanbook.me will update automatically. Add your Daylite Cloud calendar to YouCanBook.Me and use the Daylite Cloud Calendar Settings for other Applications. When you get handed a business card, it will almost inevitably end up in a pile at your desk, stashed in a drawer or shoved into an overstuffed wallet, left to be forgotten. You’re busy, and at first, it might seem a lot easier to hold onto it until you need it but without those names, addresses and phone numbers in Daylite, they aren’t going to get any use. You use Daylite to help you win more business, get more done, right? Because of Daylite Cloud’s easy Contact Sharing, you can use your iPhone’s camera to scan the details all your business cards and add them to Daylite. All you need to do is download a business scanner app on your iPhone, set up Daylite Contact sharing on your iPhone and then make Daylite your default contact list. Now you can go through that pile, clean out the desk and empty your wallet of business cards and get them into Daylit and never lose someone’s information again. You’re driving, in line at the store, or on your last 15 minutes at the gym and a lightbulb goes off. You don’t have Daylite in front of you so how do you capture it? Siri and the Reminders app of course. When you share your Daylite Calendar to your iPhone, you also share your Daylite Task list with the Reminders app. So whenever you get a bright idea, all you need to do is to ask Siri to create a new reminder, and your iPhone will sync to Daylite Cloud, and voila! Your next big business plan, a reminder to research those leads, or just to pick up milk, Daylite is there for you. To get Daylite Tasks to sync with the Reminder app on your phone check out these steps, then make Daylite your default calendar list. To see more of what you can do when you share your Daylite Calendar & Contacts, watch this video. Go Cloud now and save more with the Holiday Special!